Cough is one of the most common health ailments observed in children, which makes the parent seek medical assistance from a paediatrician. Coughing is principally a protective reflex in humans that tends to keep the breathing passage clear of dust, mucus, and other nasal secretions. Hence, it is normal for your little one to cough a few times in the day, especially during early mornings. There can be a number of reasons for a cough starting from a mere cold to a full-fledged chest infection. The severity of the respiratory condition that your infant is suffering from largely depends on the type of cough that your child is suffering from. 1. Loud Barky Cough: Could be a sign of windpipe swelling. You should consult with your doctor immediately for treatment and medication. 2. Phlegmy or Chunky Cough: Indicates the state of a post-viral infection. 3. Dry Cough during nights: Happens because of an ongoing wheeze. 4. Whooping Cough: Is the sign of coughing fits and might turn fatal if not treated timely. 5. Cough that comes after exertion: Indicates that there are chances of a heart disease which is usually associated with impaired growth. 6. Cough with fast breathing: This kind of a cough suppression by fast breathing is extremely dangerous and requires immediate medical attention. 7. Persistent cough that is resulting in weight gain failure: Indicates that your little one may be suffering from tuberculosis. Coughing in newborns is a rare ailment. However, if you observe that you little one has been suffering from it, consult with a doctor for advice and help. The best way to avoid this possibility is to have yourself immunized prior to the delivery. 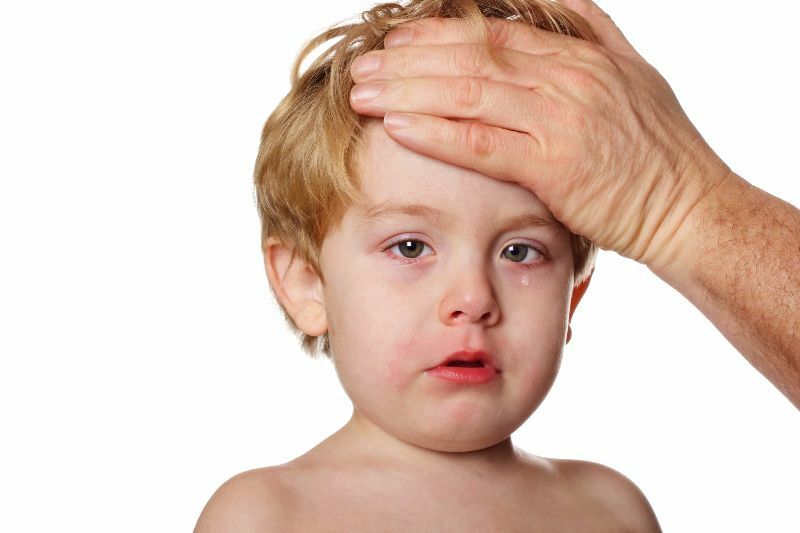 To protect your little one against this ailment, the best way is to detect the problem correctly before proceeding with any kind of treatment. What might be a remedy for common cold may not be equally safe for any other respiratory condition. Hence, it is important that you consult with a doctor. Considering home remedies, it is best that you avoid giving acidic foods (like eggs, peanuts, juices and citrus fruits) and increase her fluid intake. While honey and ginger are considered as an effective remedy for common cold, make sure that it is suitable for your baby. It is also believed in India that babies shouldn't be given dairy foods and fresh fruits when they have cough since it can aggravate the situation. However, the truth is unless associated with food allergy, dairy, and fruit in the child's diet facilitates faster recovery. Lastly, do not worry much. With proper medication and your overall support, your baby will be fine soon! 22 months old son has very high fever with cold.